Most photos of outdoor living spaces show off grand homes with sprawling yards and expansive decks. But what about those who live in townhouses, apartments, condos or houses with limited space such as balconies or porches? We haven’t forgotten about you. Interior design pros have a few tips and tricks for making small spaces seem bigger. As you search for ideas, keep these in mind. Even tiny spaces can provide a comfortable and fun place to enjoy the outdoors with family and friends if you think petite. When you don’t have the width, HGTV recommends taking advantage of height. Instead of larger chairs with wide armrests, opt for a bar or bistro set. 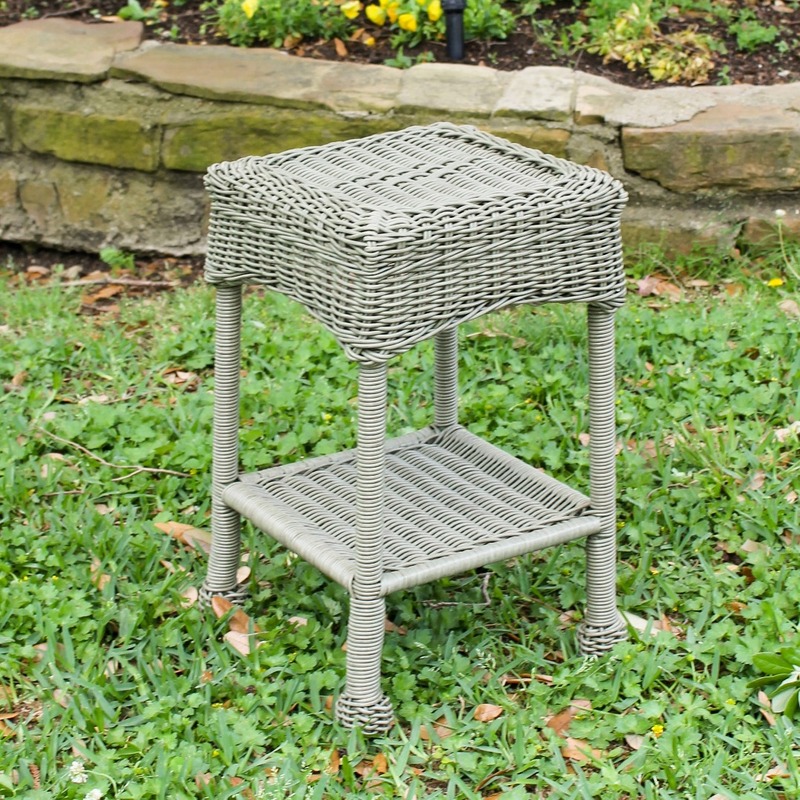 These have a narrower footprint and are a fun alternative to traditional table-and-chair sets. Also, look to the typical indoor furniture such as hutches for height. 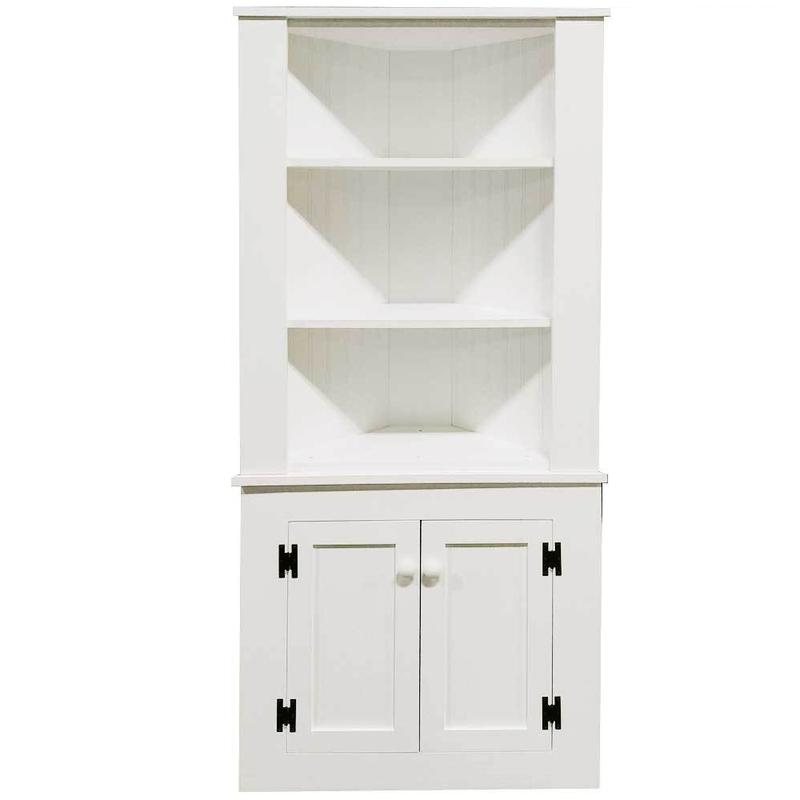 Pictured here is a hand made (in the USA) solid pine corner hutch cabinet that has the height but also fits into a corner to take up less space. It comes in several colors to match your other decor. You can have everything you want… just smaller. For example, instead of a large table that seats 4 to 6 people, choose individual side tables. They take up much less room and guests can share, so you only need 1 table placed between every 2 chairs. Want a bar, but don’t have the room. Many homeowners build a bar into their patio to eliminate the use of floorspace. 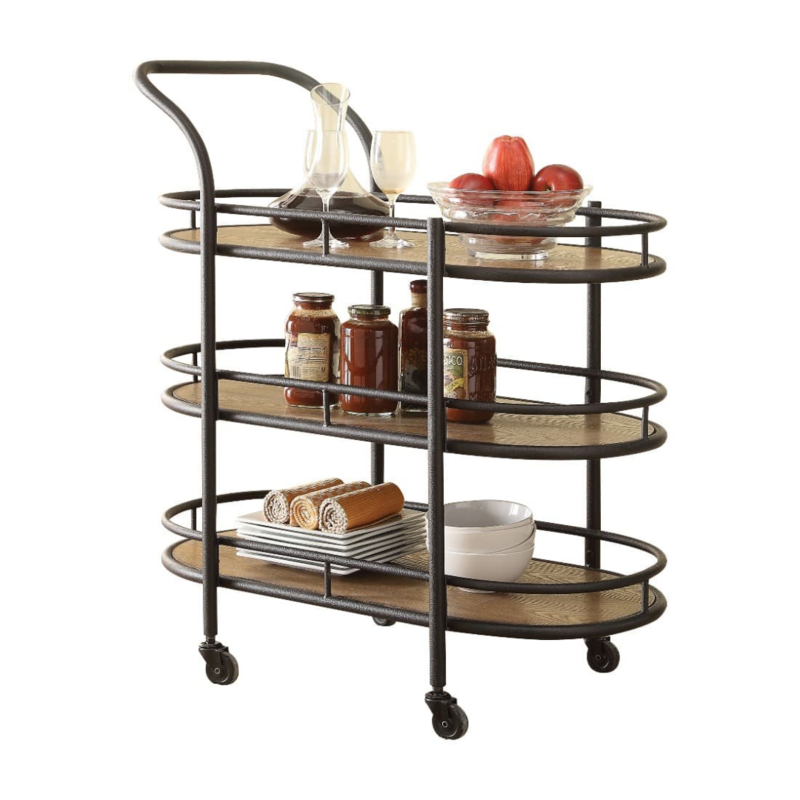 If you don’t own your home, opt for a portable solution: a bar cart. The slender profile makes it easy to store in a closet when not in use. Then roll it out when guests arrive. Another idea is a portable bar that folds out and has shelves for storing bottles, glasses and other bar accessories. Love water, but think your balcony can’t accommodate a fountain? 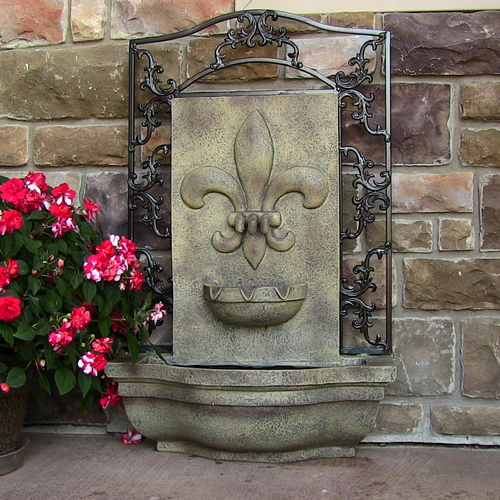 Look at wall fountains. These clever battery- or solar-powered fixtures give you all the best features of a fountain without taking up any square footage. Hang a lovely set of windchimes from the ceiling or overhang and enjoy a double dose of relaxation.